Get announcements of new topics and important updates to existing topics from Pitkin County in your RSS reader or emailed to you as a daily digest. Statements are emailed at most once per day (in the morning). 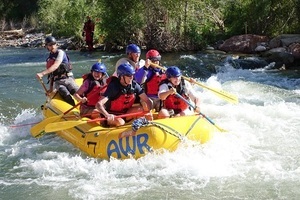 We'd like your feedback on our new whitewater park in Basalt! We invite you to take a couple of minutes to fill out our short survey. If you haven't yet experienced the new park please check it out! 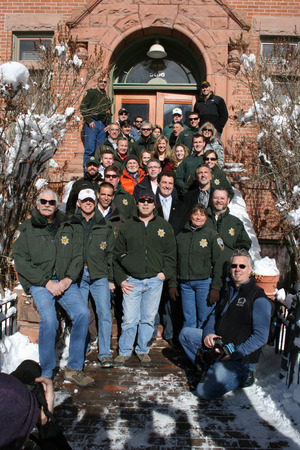 Thanks again for being a part of Pitkin County's online engagement! New, Enclosed Drop and Swap Facility at the Landfill Proposed. What do you think? Pitkin County is considering building an enclosed Drop and Swap facility at the landfill. An outdoor Drop and Swap has been a fixture at the landfill for many years. It's a place where residents drop off furniture, fixtures, sports equipment, and construction materials, among many other things. The only trouble is, the current outdoor Drop and Swap is exposed to the elements and more often than not swap items are ruined by the rain, snow, and wind. An enclosed facility would allow the Solid Waste Center/Landfill to accept more reusable items including upholstered furniture, electronics and appliances, etc. These items could be recycled and reused by another family instead of ending up in the landfill. As the saying goes "One man's trash is another man's treasure." Would you mind taking a couple of minutes to give us your feedback on this short survey? Your Board of County Commissioners would appreciate it! Pitkin County wants your feedback! 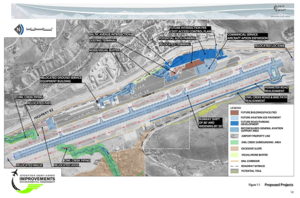 The Draft Environmental Assessment for proposed improvements for the Aspen/Pitkin County Airport has been prepared and is now available for public review and comment on the Pitkin County Connect forum. Please share your thoughts on the Draft Environmental Assessment for Airport Improvements by October 3, 2017. 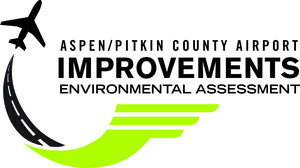 How would you like Pitkin County to manage Off Highway Vehicle (OHV) use on county roads? 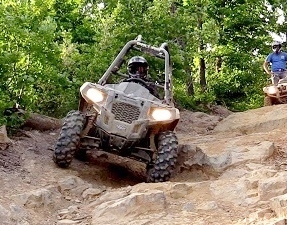 Because Off HIghway Vehicles are increasingly being used to access the backcountry via County roads Pitkin County is seeking public input to help formulate an OHV Management Plan. This plan would designate which roads in Pitkin County (if any) would be open to OHV use and create a strategy for management and enforcement. We hope you will take a few minutes to comment on Pitkin Connect. What are your concerns about the proposed airport improvements? If you have been following the airport improvements Environmental Assessment process, you will know that for over a year-an-a-half we have been studying the possible environmental impacts of a proposed new airport terminal and runway shift and widening. We know our community is most concerned about air quality, noise, climate, water resources, socioeconomic and visual resources. Please review our findings and give us your feedback. We have entered the Environmental Scoping phase of the Airport Improvements Environmental Assessment. 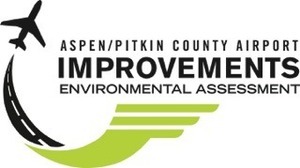 Please click on the link below to make comments that will be read and considered by environmental consultants and the Pitkin County Board of Commissioners. Thank you for your interest in the Aspen/Pitkin County Airport. If you have not already 'rated' the four different new airport terminal concepts we are currently circulating to the public we hope you will take a few minutes to do so BEFORE November 20th. We will use the feedback we gather here with feedback we've collected at in-person meetings and open houses to narrow terminal concepts (single story, split level, nested, and two story) down to two that will be closely studied in the ongoing Airport Environmental Assessment now underway. Your participation in this process is vital! Stay tuned for announcements from Pitkin County Airport in the coming months about events at the airport when we take you on a tour of the runway and proposed terminal site so you can get an even better feel for a terminal concept that would best suit our community. Thank you very much for your interest in YOUR airport! How would you rate the four airport terminal concepts presented here? Pitkin County Government is moving forward with plans to remodel its downtown facilities and construct a Public Safety/Administrative office building on property it owns between the jail and the rear of the Courthouse Plaza. We like you to join us for a lunch tour (food all along the way) on Wednesday, June 3rd beginning at noon on the Courthouse steps. We'd also very much appreciate it if you would take a moment to give us your feedback on the project on Pitkin County Connect. What are your thoughts on Sustainability Considerations of the Airport Terminal Environmental Assessment? We have posted three NEW questions about the design of the airport terminal during the Environmental Assessment process currently underway. Your feedback on these questions is important to us. We hope you will take a few minutes to post your comments here on Pitkin County Connect. 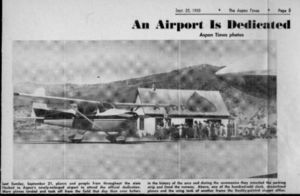 How should the Aspen/Pitkin County Airport terminal reflect our community values? What should Pitkin County do to help ensure all residents have adequate access to competitively-priced broadband?